A Seeker is a warrior, trained from childhood to protect the weak and uphold justice. Quin, her boyfriend John and her best friend Shinobu are proud of their honorable legacy and are ready to take their Oath. But when they learn the truth of what they have been trained for, neither Quin nor Shinobu are able to carry out their gruesome duties. Meanwhile, John reveals ulterior motives he's been harboring ever since he was a small boy. This book builds slowly, really immersing the reader in the characters, their sense of duty and the nuances of the secrets they all carry. Then it explodes into a full on visceral adventure story, with time travel, futuristic cities and ancient traditions. There are some terrifying characters here, drawn with the kind of complexity that makes a bad guy really great to read. There's also a character that many readers will identify with, a fixed point in time, an observer, with more power than she realizes. 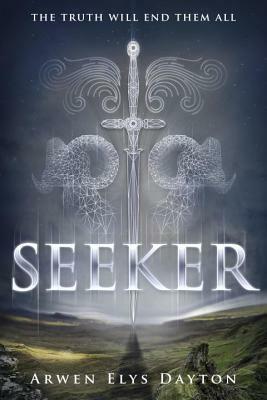 Seeker is the first of a trilogy and when you finish reading it, you definitely want more.